Internet security is one of the most troubling things for internet users, with many people worrying about how to increase their privacy while online. This is for good reasons too, since no one wants hackers or governments, or even their family members snooping around on their online whereabouts. Your browser is a crucial implement you should treat with utmost care in order to attain internet privacy. Most netizens do not take much care of their browsers at their own peril. You should know that browsers are not updated just to improve their aesthetics. Contrary to that opinion, they also come up with new and stronger ways to further cement internet security and privacy. Therefore, always ensure you are using the latest browser so that you seal any loopholes that malicious web users might have already figured out. Internet privacy is a bit complicated when it comes to social media. This is largely based on the fact that your security on such sites is largely dependant on the surfer. The most basic step to ensure only what you share becomes public is by using a strong password. Ensure you have a password that cannot be easily guessed like your pet’s name. Furthermore, you should be keen on technology reviews such as 8bit Sumo that empowers you with knowledge on how to figure out whether you are being hacked and the steps to take. 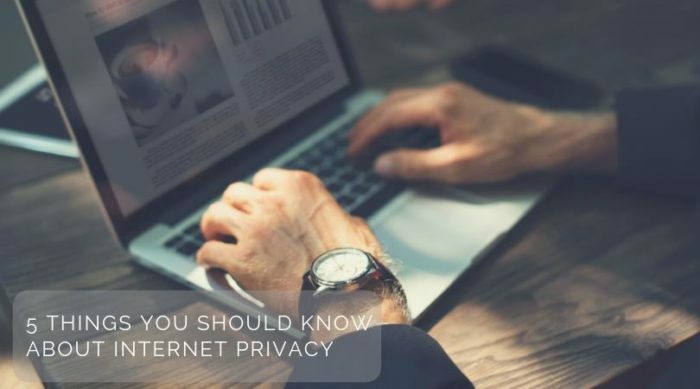 Although most people think private browsing increases their privacy on the web, they could be more mistaken. All private browsing does is delete your searches and cookies when you exit the browser. This protects you from snoopy family members, but not snoopy organizations and governments. To achieve total privacy, use private search engines instead, which have proven extremely effective and reliable in robustly shielding your online privacy. In order to boost your internet privacy, be very selective on the websites you visit. If possible, view their privacy policies and see whether you consent to them or not. You should know that free websites are the ones that save your personal information most. Therefore, if exchanging the content you are searching for your personal information is not worth, you are better off choosing a website with better privacy policies, even if it means paying for it. Despite being a straightforward scheme for protecting users online privacy; very few people consider leveraging alternative emails for registering with various websites. When you register to a website with your personal email or work email, you have simply given the website access to your account, which in turn can compromise your internet privacy. Preferably, create an email account just for registering to websites.